The disorder recurrent hypersomnia is a rare kind of disorder and it is being diagnosed with recurrent hypersomnia episodes. These episodes sometimes last after 18 hours and in some cases, it keeps on showing symptoms for several weeks or days. Recurrent hypersomnia is one of the types of hypersomnia disorder which refers to some similar types of particular disorders involving excessive sleepiness in daytime. The effect of this disorder is so powerful that one feels inability to do any work. As per sleep experts, hypersomnia is categorized in different types. Check on information given below to find out hypersomnia and its different types. According to various symptoms and signs of hypersomnia, experts have categorized it in two main types. First is primary type and second is recurrent type. The primary hypersomnia is also referred as idiopathic hypersomnia. 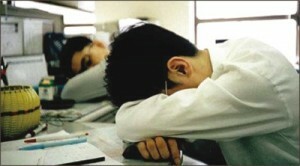 Other type of recurrent hypersomnia is also named as recurrent primary hypersomnia. The signs and symptoms of both types of hypersomnia are same, but only difference you will see is in regularity and frequency of the symptoms. A patient who suffers from primary hypersomnia feels sleepiness in daytime and that too in excess amount for longer period and this condition remains all the time on a patient. Though, in recurrent hypersomnia, one does not find difficulty while waking up from bed and also feel problem in awaking in daytime. If you are struggling with recurring hypersomnia, then certainly you are sick of your inability while waking up in morning time and also nap frequently in day time. Moreover, when wake up from small naps; you must not be feeling fresh and active because of recurrent hypersomnia effect. These are some certain symptoms of recurrent hypersomnia. As the symptoms are similar at some extent to narcolepsy, so many people misdiagnose this disorder with narcolepsy. Though, there is one big difference by which one can easily diagnose recurrent hypersomnia. As per this difference, narcolepsy causes onset sleepiness; however recurrent hypersomnia causes excessive sleepiness throughout the day. The disorder recurrent hypersomnia is characterized by excess amount of sleepiness in daytime and recurrent naps in daytime. 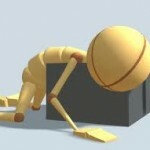 These issues cause inactivity and sleepy attitude to a person. But, a person with this disorder does not feel difficulty in sleeping nighttime. Therefore, if such is your case and your work is also getting affected with the symptoms of recurrent hypersomnia, then you should immediately consult a good doctor in this regard. To diagnose your problem, doctors may take help of different treatment options like polysomnography, blood tests or CT scans. In case, your issue is milder, then they can use electroencephalogram that examine electrical action of human brain. Some people rely on using drugs to treat up the symptoms of recurrent hypersomnia, but these treatments are not that beneficial. As per some researchers, to treat up recurrent hypersomnia symptoms, use of hypothalamus treatment can give good results. For initial help, taking drugs like methylphenidate, modafinil or amphetamine etc. will be good step, but apart from these drugs, behavioral therapy can give effective results for curing recurrent hypersomnia. What to Do In Case Of Choking While Sleeping?